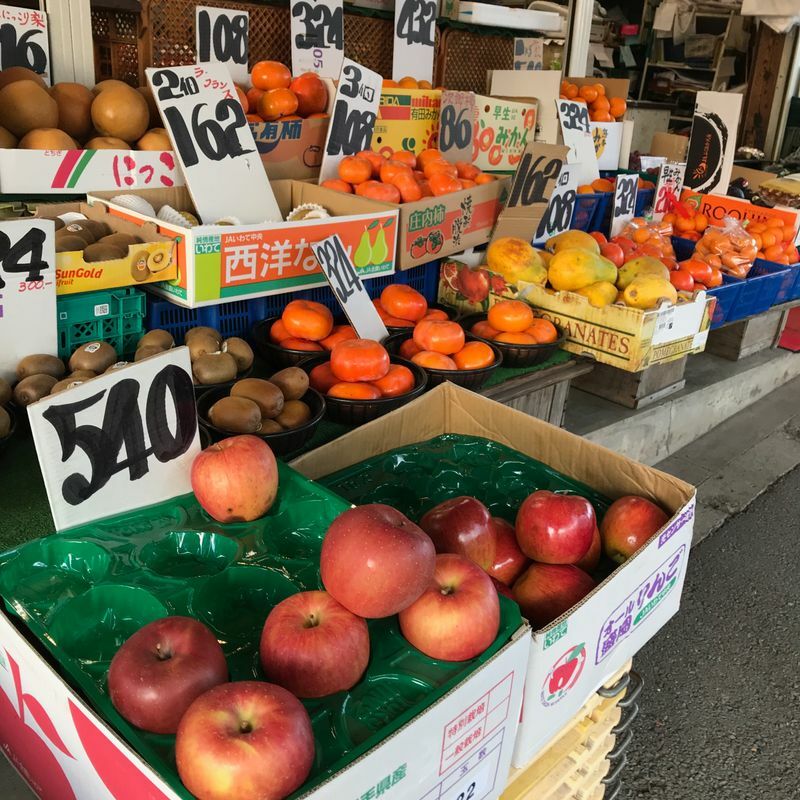 Whether you live in a huge metropolitan area, or somewhere way out in rural Japan, you can always find local grocers. 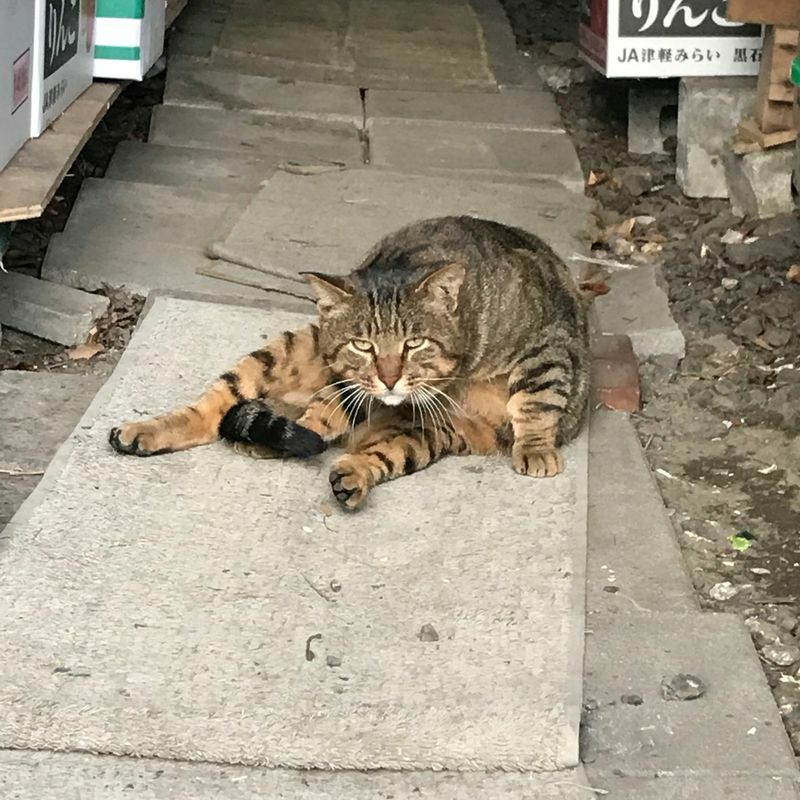 I think of them as Japanese bodegas (sometimes even coming with a cat), as they are locally owned and integral parts of the community. From my walk to and from work I pass two of these shops. Near my home there are a few more. When I first moved to Japan, I admit that I was a bit intimidated by places like these. 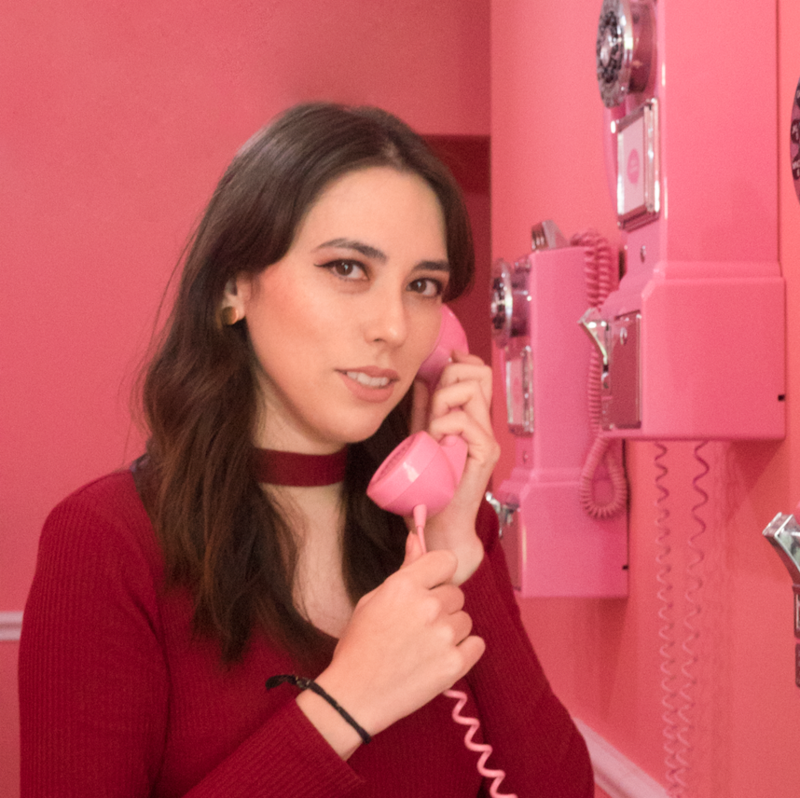 My Japanese wasn't very good at the time (it arguably hasn't improved much, hence my 2019 resolution) and it was so much easier to throw money at the cashier at a supermarket than trying to make conversation with the local obaachan. Now, after getting over my fear of speaking to strangers who don't use "kiddie Japanese" with me, I actively seek these kinds of places out. And not only do they support the local economy, but they are also much better for the environment. Not only can you get good deals, but the produce supplied at these places are locally sourced, too. So, rather than chain grocers shipping products from across the country, leaving a large carbon footprint, you can buy from places that get produce from local farmers in your area. That's not to say that these types of stalls are going to be a perfect solution. You can see that they also use plastic to package their items, in the same way that normal grocery stores do. And, they don't always stock only local produce. 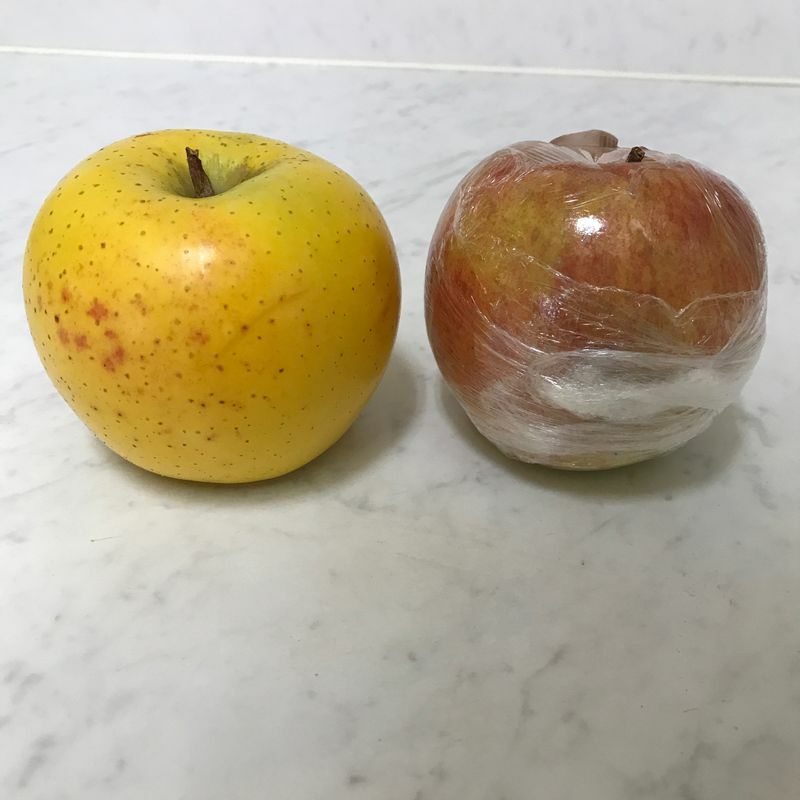 Sometimes, the famous Aomori apples have better brand recognition and quality than the local ones do. 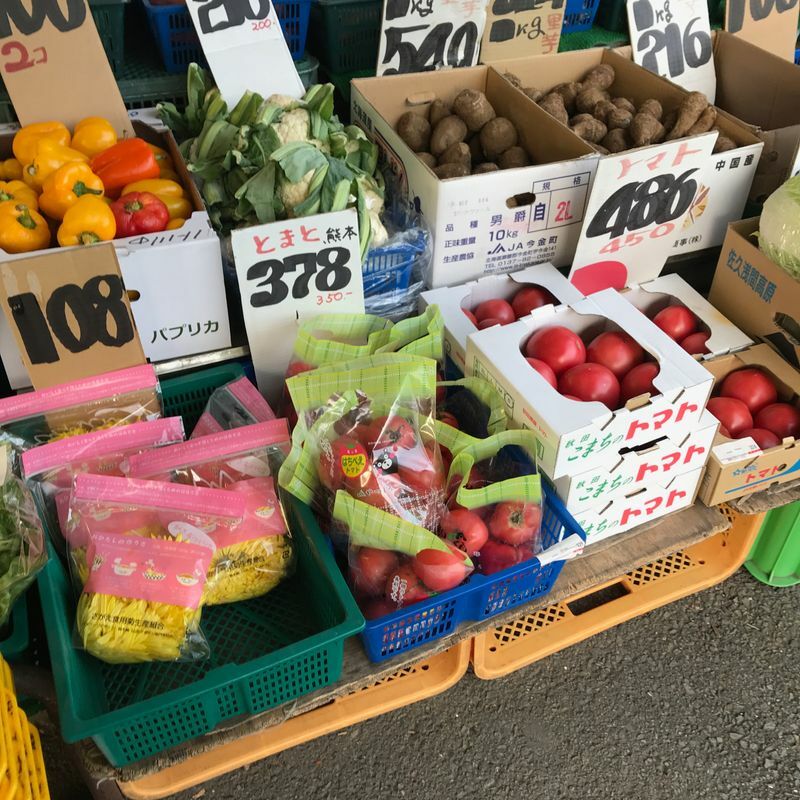 But, if you're like me and can't much taste the difference between the famous prefectural foods and the regularly produced ones, you can just opt to buy locally grown ones. 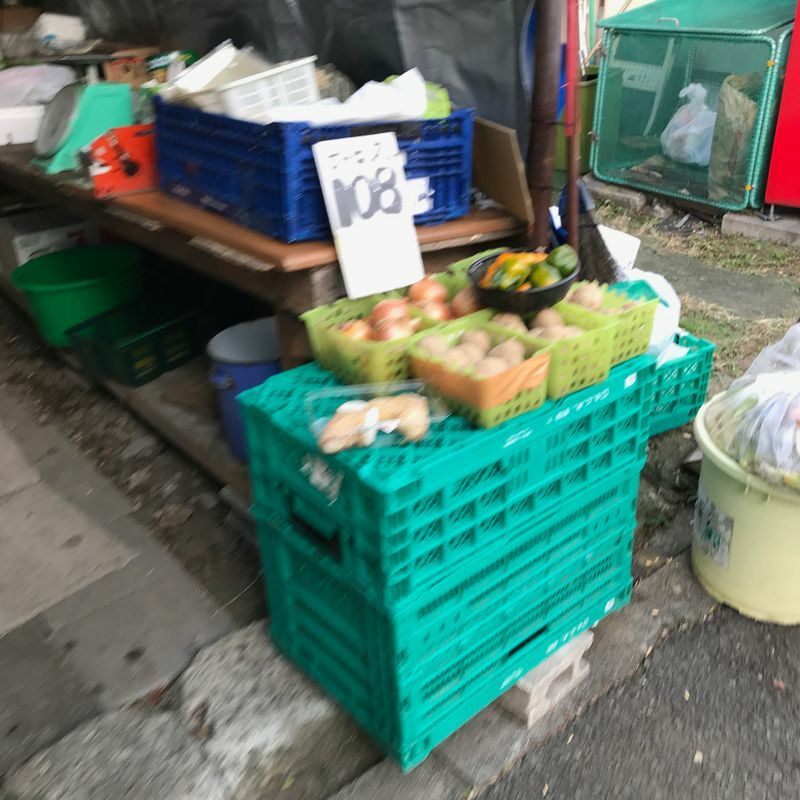 As I mentioned, the groceries at the street stalls generally use less packaging than the ones you find at the grocery stores. (I do say generally because sometimes it's just more convenient to use a plastic bag to sell a bag of mikan.) But, for the most part, I can buy loose fruits and have them placed in my own eco bag, rather than have to deal with unnecessary packaging. 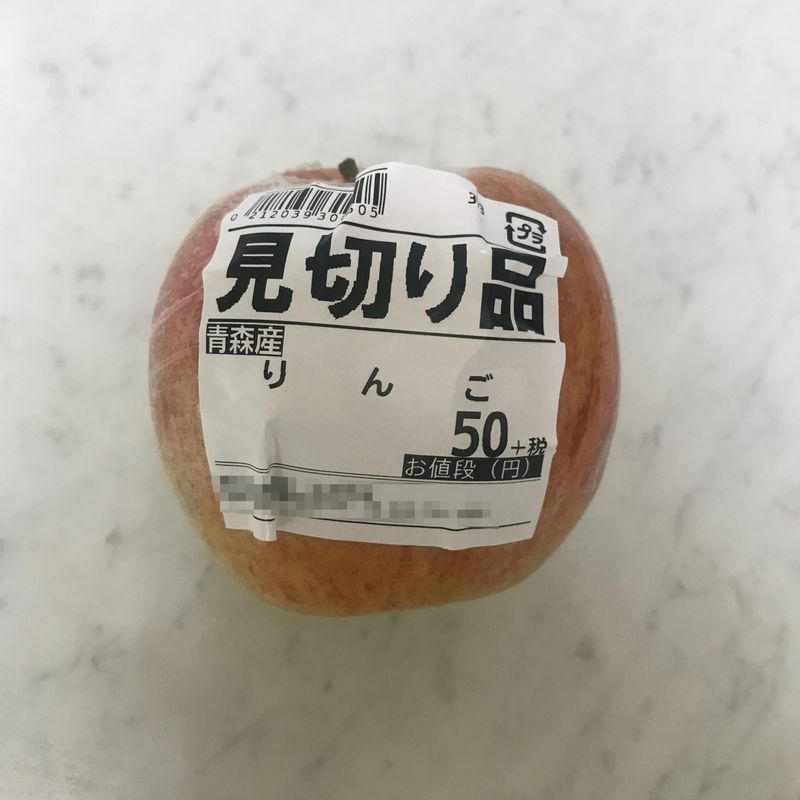 I bought an apple from a regular grocery store. This kind of wrapping probably overkill, as most grocery stores don't go overboard with plastic like this, but it's such a waste! It was a discounted item, but there was no need to wrap it up like this to make that clear. Compared to an apple that I purchased from a local shop, it was obvious how much wastefulness there was going on. Now, that I know about an alternative, I feel guilty whenever I shop at a grocery store. Another benefit is they can sell older produce. In the mornings, I often see the owner of the shop cutting the old or rotting pieces from vegetables. Then, they end up on this discount table. If you're looking for produce to use for that night's dinner, these groceries are perfect. They won't last much longer, but using them the day of purchase prevents them from going to waste. As I mentioned, you can also sometimes see cats around these kinds of shops, too. Rats and other pests aren't good for business, so the cats are generally welcome. And I love seeing them every time. 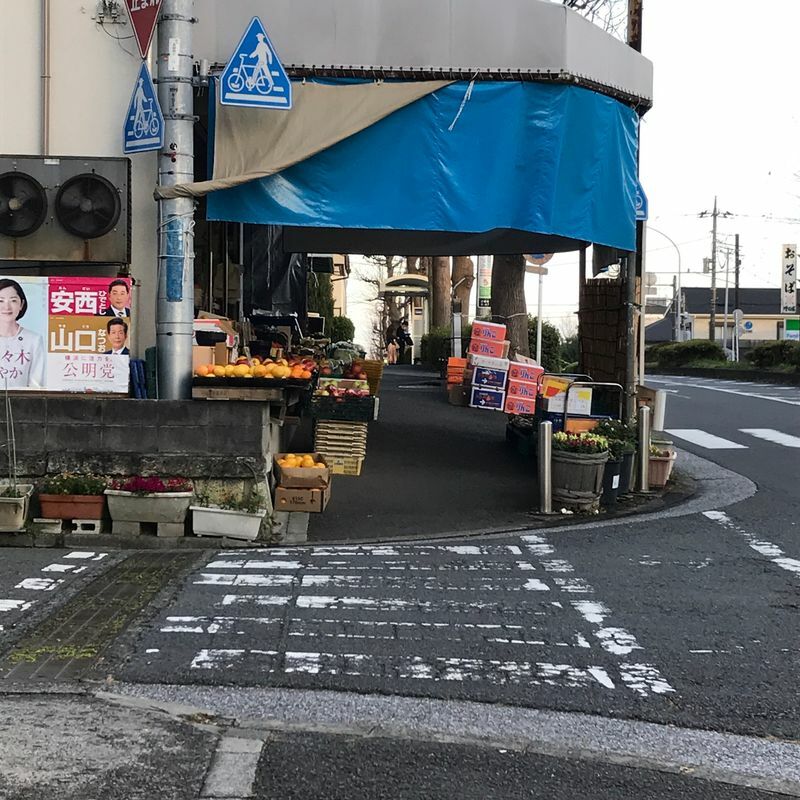 So, next time you're shopping for groceries, instead of heading to your neighborhood grocery store, try to look for one of these street grocers. You'll be helping yourself by getting fresh, cheap produce, and you'll be helping the environment too. It's a win-win situation, no matter how you look at it. Mel too, I find I can reduce a lot of waste by shopping at the grocer instead of the supermarket. The grocer in my neighborhood doesn’t pack the eggs in cartons, so I bring my own box. They also have big barrels of pickled veggies. Customers can bring their own containers to pack them home.